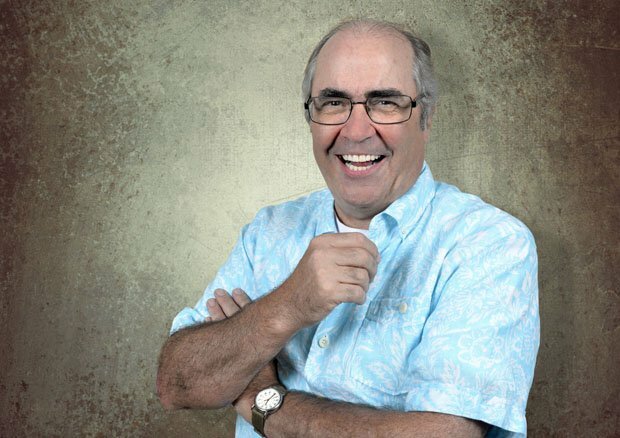 It took over 40 years, but Danny Baker finally got up on stage to share his life story. Here he recalls his early days at the NME, chooses which Marx Brother he'd be, and insists that this is his farewell tour. Or is it … ? When people come to Good Time Charlie's Back, what should they expect to see? And the word is that these will be your final live shows? I can't play with a straight bat. When I was asked to write a blurb for the first tour, you could either say 'come and see me and you'll have a great night', which is true, but I chose to adopt the persona of an old veteran of the boards: 'aaah, I can see the final curtain coming down; this will be my last tour.' I've stuck with that as I was being ironic, but here we are again. I've been to shows that are an hour and feel like three hours; this doesn't. I have some photos behind me, because some of the stories are so unlikely that people will say 'it's a good story, but it's not true'. And then I'll put a photo up and there that moment is. What do you remember of your early days at the NME? There's a photo of me looking like I'm 12, sitting by a typewriter on my first day at the NME and that ends the first half. I say, 'OK folks, take a break, go and have a drink, and when you come back, sit down, buckle up and I'll tell you how just two weeks after that photo, I was in New York with John Lennon.' Before I was 21, I'd been all over the world with rock bands, but it's not a night talking about my 'journey'. It's how a family reacted to their boy leaving school at 14 and suddenly ended up on telly with Elton John. You're an authority on many subjects. One of them is the Marx Brothers. Obvious question: if they made a biopic of them, which brother would you play? Chico! He had all the fun, made everyone else look like sedate pipe and slippers. Chico, the eldest brother: what a life he lived. He ended up penniless; they had to make their last two films to finance him as the mob was going to bump him off because of his gambling debts. He ended the way everyone would like to go: when he died, they said 'boy he sure ended up owing people a lot of money'. He didn't worry about tomorrow; if he earned 100 dollars, he'd spend 101 dollars. That's a page out of my diary: I've been living like that since 1972. I got that from my dad. If you get money, knock it out, you'll always be able to forage about and get more. It's a reckless way to live, but it has worked out. … so is there a blade missing? Culturally speaking. I've never had any kind of road map; the gods have just had some sport with my career. So when I'm thinking of retiring, suddenly I'm a stage star. And then bang! Gary Lineker asks if I want to do a podcast and then that's a big success. I sometimes think I went into a coma in 1972 and I'm dreaming all this. What about a book of poetry? Now, you've probably hit on the one thing. 'There once was a fella from Colwick / Who … ', well, you know the rest. I have no hidden depths; I don't want to play Macbeth and have no opinions on current affairs. I've always been of the belief that you get 70-odd summers on this amusement park spinning through space and you can either walk around reading Ibsen and trying to be taken seriously or you can grab it by the throat and give it a good rattle. Danny Baker: Good Time Charlie's Back is on tour from Mon 29 Apr to Tue 4 Jun.